Jimmie Lee Snell was born on April 28, 1939 in Wrightsville, Johnson County, Georgia to the lineage of Lucille Hobley and Emory Davis. Jimmie had a love for agriculture and farmed many years with the Evans family in Bartow, Georgia. He was preceded in death by his mother, Lucille Hobley; father, Emory Davis, Sr.; brothers, Emory Davis, Jr. and Fred Davis; four children, Gale Green, Jeff Smith, Geneva Jackson and Larry Green. On Sunday, August 26, 2018, at Vero Health and Rehabilitation, Jimmie answered his call to eternity. His voice will continue to penetrate the hearts of his wife, Johnnie Lucille Snell, Bartow, Georgia; daughters, Betty Williams, Essie B. (Bobby) Gunder and Leatha (Tyrone) Mitchell all of Wadley, Georgia, Faye (Stanley) May, Grovetown, Georgia, Joanne (Demetrius) Jones, Kim Smith, Bartow, Georgia, Lucille Green, Chesapeake, Virginia, Joyce Johnson, Augusta, Georgia, Linda Cunningham, Wrens, Georgia and Cynthia (Gregory) Barlow, Hephzibah, Georgia; five sons, Roy (Annie Ruth) Green and John Willie Jones, Bartow, Georgia, Bobby Green, Wadley, Georgia, Lester (Katie) Green, Hephzibah, Georgia and Jimmie Lee (Meredith) Snell, Jr., Akron, Ohio, his sisters, Lizzie Daniels Hernaveo, Tampa, Florida, Gail Bussey, Wrightsville, Georgia and Frances Jackson and Helen Daniels, Bartow, Georgia; his brothers, Glenn Davis, Curtis Davis, Willie (Betty) Davis, Bartow, Georgia and Rev. 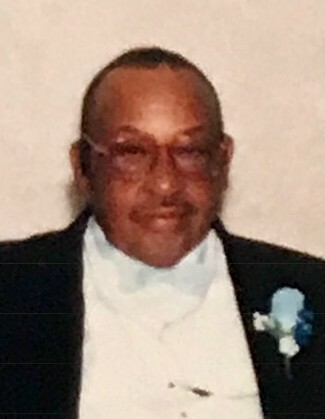 Perry (Beverly) Davis, Sandersville, Georgia and a host of grandchildren, great grandchildren, nieces, nephews, cousins, other relatives and friends.